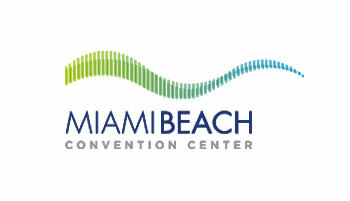 Located in the heart of South Beach, the Miami Beach Convention Center (MBCC) boasts over 1,000,000 square feet of flexible space, including over 500,000 square feet of exhibit space, over 100,000 square feet versatile pre-function area space, and 70 meeting rooms comprised of 127,000 square feet. The dynamic and international City of Miami Beach is a unique, sophisticated, urban paradise, offering world-class business amenities and cosmopolitan facilities in a laid-back, tropical atmosphere. Spanning four city blocks of palm tree lined streets and located in the center of the electrifying and historic Art Deco District, the Miami Beach Convention Center is a meeting, convention, tradeshow, and consumer show paradise. The white sandy beaches, warm ocean waters, terrific shopping, award winning restaurants, cool cafés, and exciting nightlife makes Miami Beach a premier choice for your next event. With over 2,000 hotel rooms within walking distance of the Miami Beach Convention Center and only a 10 mile commute from the Miami International Airport, your group will be sure to enjoy our world famous weather and lifestyle throughout their entire visit.